Recently, on December 28, 2010, Middle District Federal Judge A. Richard Caputo granted summary judgment in favor of Progressive Casualty Insurance Company in the post-Koken bad faith case of Calestini v. Progressive Insurance Company, slip copy, 2010 WL 5437278, 3:09-CV-1679 (M.D.Pa. 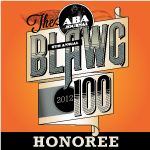 Dec. 28, 2010, Caputo, J.)(mem. op.). In this more recent Opinion, Judge Caputo granted summary judgment in favor of the carrier on the bad faith claim after finding that "the Plaintiff has failed to bring forth clear and convincing evidence of bad faith on the part of the Defendant in handling Plaintiff's UIM claims." In this case, the record revealed that, in addition to a number of other traumatic injury-producing events, the Plaintiff had been involved in a 2005 car accident and a 2006 car accident. The Plaintiff was pursuing UIM claims against Progressive relative to these two car accidents. The Plaintiff filed a single Complaint covering claims arising out of both the 2005 and 2006 accidents. The Complaint alleged two breach of contract claims and two bad faith claims, i.e. one set of claims for each of the two accidents. The Court rejected the Plaintiff's argument that the carrier's previous proposal that the UIM claim arising out of the 2005 accident be tried together with the negligence claim against that tortfeasor amounted to bad faith conduct. Judge Caputo stated that "[n]othing about Defendant's proposal to try the negligence claim and the UIM claim together undermined or was inconsistent with the logic of the UIM coverage." The court noted that, in making such a proposal, the carrier was still on the hook to pay UIM damages if warranted by such a jury verdict. The court also appeared to agree with Progressive's contention that the proposal would have benefited the Plaintiff in avoiding the trouble and expenses related to two separate lawsuits. The Court also rejected the Plaintiff's allegation that the UIM carrier failed to expeditiously evaluate the claims presented. In this matter, the Plaintiff had an extensive prior medical history and there were questions as to what injuries were related to the 2005 accident versus what injuries were caused by the 2006 car accident. The court noted that, although the carrier was eventually given an expert report by the Plaintiff separating out the injuries from the 2005 accident and the 2006 accident, the carrier only had "several days" to review that report before the bad faith claims were filed. Judge Caputo concluded that "[g]iven the number of accidents Plaintiff has been involved in over the past six years and the extensive injuries he allegedly suffered, it is reasonable that Defendant would want to conduct a thorough investigation of the injuries and have all of the requisite documents and records before it before settling Plaintiff's claim." The court also noted that the carrier's actions in this matter of desiring to conduct additional discovery on the causation issues was further supported by the opinion of the defense IME doctor who raised questions as to the causation and extent of injuries issues. For these reasons, the court granted summary judgment in favor of the carrier on the bad faith claim. 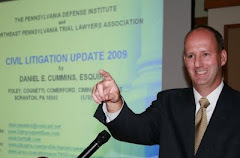 The bad faith expert for the prevailing defendant carrier was Attorney David Cole (email: coled01@padefense.org), who also happens to be the Executive Director of the Pennsylvania Defense Institute. The prevailing defense attorney was Robert Dapper, Esquire of the Pittsburgh office of Dapper, Baldasare, Benson, Behling & Kane, P.C.